As sports become more and more popular, so the money that revolves around this domain increases. Astronomical financings are directed towards different types of sports and their competitors, with all businesses wanting a piece of the proverbial pie. In this situation, betting companies do not represent an exception, as increased sports following means more potential individuals that would engage in betting practices. In order for a sports follower to become an active gambler, however, they need to be reached and at the same time convinced that the potential wins are worth the risk involved. With the passing of time, more individuals are actively betting on sporting events due to the relative ease with which this process can be performed. 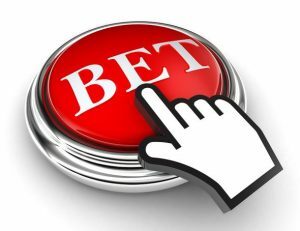 If in the old days the one wanting to bet would need to be physically at the sporting event in question (such as a horse race track) in order to play, today the same activity (and more) can be done from the comfort of their own home. The process being extremely streamlined, the one betting is able to follow multiple sports at the same time with ease. The medium provided by the internet makes it extremely easy for someone to bet, as there are countless numbers of betting sites. Surprisingly, the one betting does not even need to be that knowledgeable in sports as there are another countless number of agencies that can help with making picks. It goes without question that the betting industry is highly regulated, in some cases states taking a cut out of the winnings, but despite that there are still questions being asked about the morality of some of the practices. The same streamlined process that made betting an easy and thrilling experience has resulted in an increased number of pathological gamblers, which in turn can lead to ruined lives. Discussions have revolved around somehow putting some limits on the betting process, however it has still to yield any results.